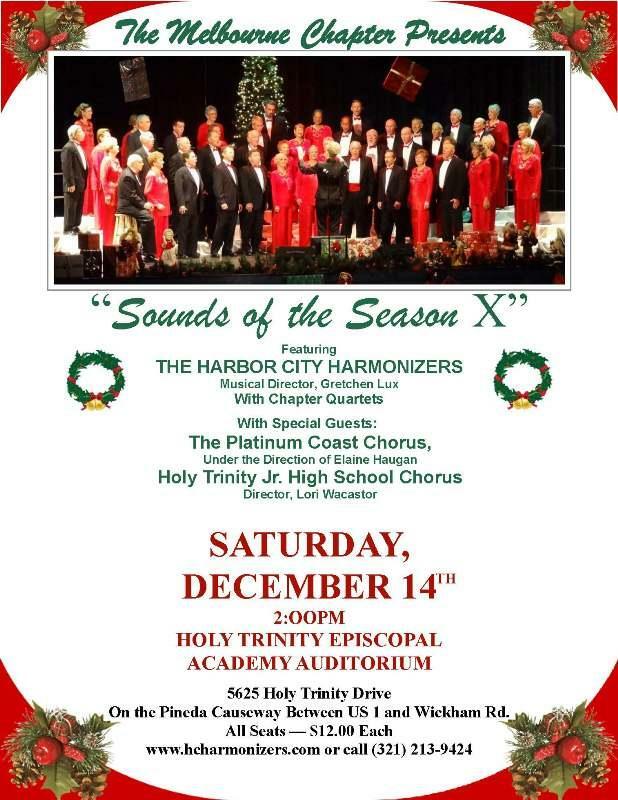 The Harbor City Harmonizers presents "Sounds of the Season X"
The Melbourne Chapter of the Harbor City Harmonizers presents "The Sounds of the Season X" at Holy Trinity Episcopal Academy Auditorium on Saturday, December 14th at 2pm. Special guests include the Platinum Coast Chorus and Holy Trinity Junior High Chorus. Tickets are $12. An interview with 4 members of the Harbor City Harmonizers.